At Home with Chas: Hugel-What??? 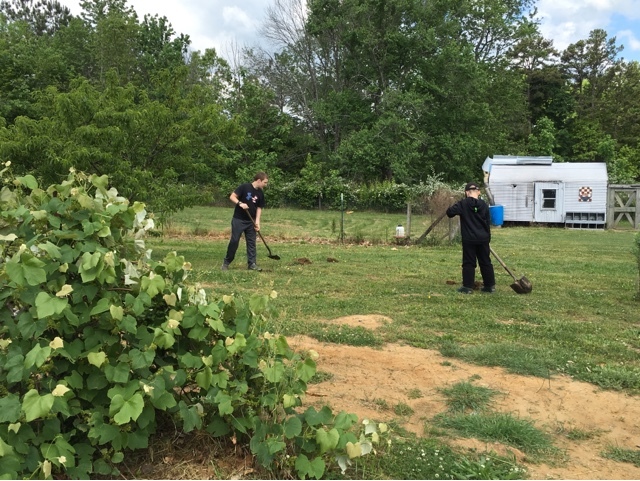 Last week the boys helped me so much around the yard and garden. 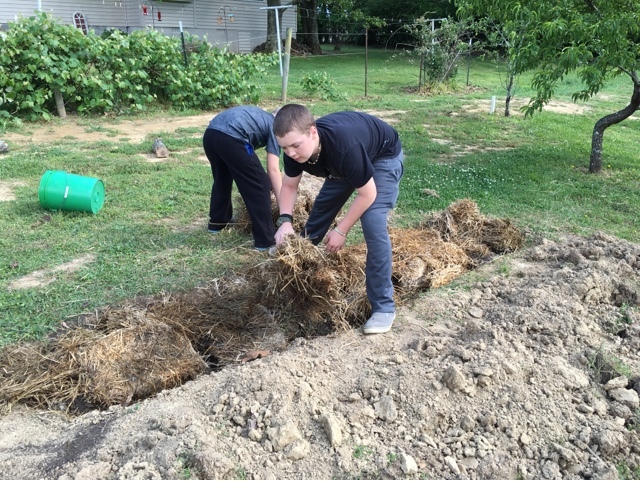 We had some raspberry canes that needed to get in the ground asap, and so we decided to try out a gardening method that has been getting talked about in some of our friend circles. It's called Hugelkultur and it is a type of raised bed. 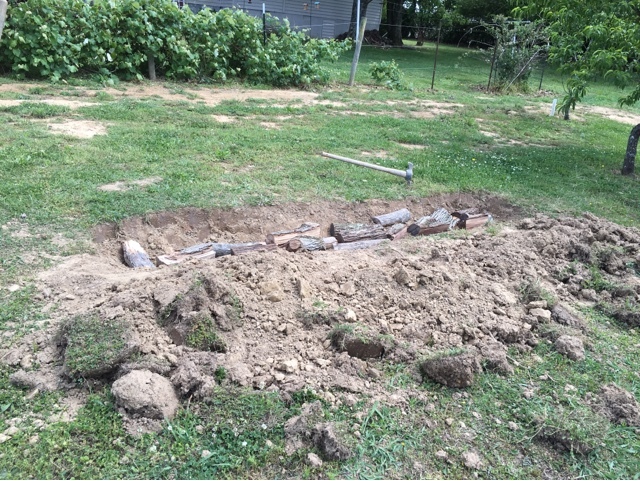 You first dig a bit of a trench and then you fill the trench with old wood that is beginning to break down. After you lay down your wood in the trench you begin to top it with all kinds of organic matter. 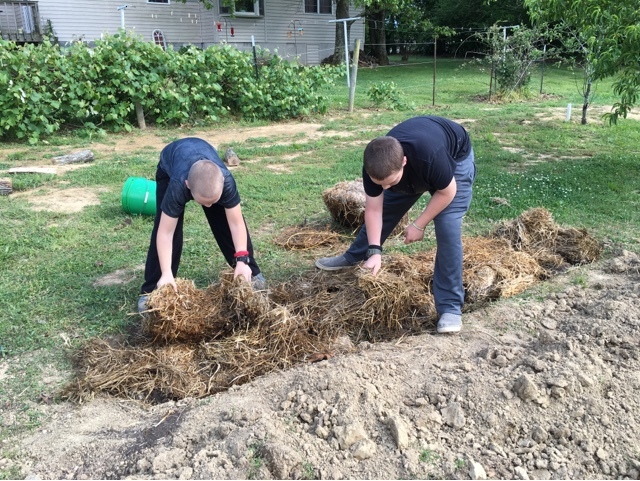 We used old hay, compost, loads of old poo and wood shavings from the chicken coop, etc. 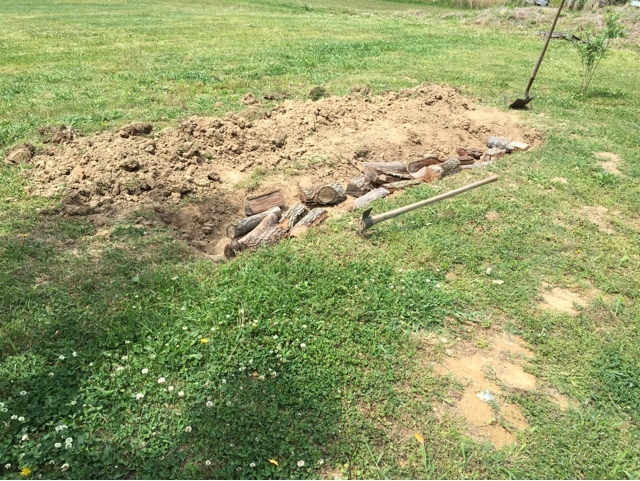 We topped it with some more old hay and then you back fill it with the soil that was dug from the trench. The compostable material breaks down and feeds the plants over time and makes the soil super nutrient dense.The final look is a bit mounded up, like a little hill, you can read more about it online. I didn't get a pic of the final look, because we were doing our best to beat the rain. I'll try to update with one soon. Learning, trying, experimenting, it's all part of the journey when you try to raise your own food. I hope we have a flourishing raspberry bed soon, and if not, we will try something else next year.